Black Sabbath was born in 1968 and has since been one of the godfathers of heavy rock and heavy metal. Since then twenty-two band-members has been in and out of the band, with the original lineup with Ozzy Osbourne on vocals as the most popular and classic. Ronnie James Dio replaced Ozzy and did some good albums with them as well. 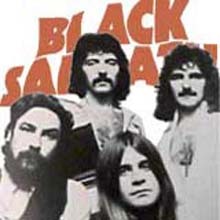 You will find Black Sabbath tabs and chords from all periods here. Tony Iommi is the only member who has been with the band since the start. They soon got popular with their horror-inspired lyrics with tuned-down guitars making a unique Black Sabbath feeling. Now, after 70 million albums sold worldwide they are still the pioneers of heavy metal. Check out these Black Sabbath tabs and chords and you will understand why MTV has ranked them as the best metal band ever. Many of their members has since gone solo or started other popular bands.